Hyderabad-based Trimex Group has signed two MoUs with Government of Andhra Pradesh to develop mining projects at Bhavanapadu and Kalingapatnam in the state. The MoU was signed by Trimex Group managing director Pradeep Koneru in the ongoing CII Partnership Summit on Monday. The projects involve an estimated investment of Rs 2,500 crore and will generate 5,500 direct and indirect job opportunities, according to the company. Bhavanapadu beach sand heavy minerals project will be executed by Trimex Heavy Minerals Private Limited (THMPL), while Kalingapatnam project will operate under the aegis of Trimex Ores Private Limited (TOPL), it said. Koneru said the state government has given in principle approval for the grant of mining lease for beach sand minerals like Ilmenite, Rutile, zircon, garnet and sillimanite over an extent of 17.88 square kilometres. THMPL proposes to develop the mining lease area for the mining of 10 MTPA of heavy mineral sand along with pre-concentration plant of 1,525 tonne per hour and install a mineral separation plant of 270 tonnes per hour for the production of Ilmenite, Rutile, zircon, garnet and sillimanite heavy minerals. “We have obtained all required permissions from various government statutory agencies for the execution of the project. We have also got mining plan approvals from the Indian Bureau of Mines (IBM) and the Atomic Minerals Director for Exploration and Research (AMD) along with coastal regulatory zone (CRZ) and environmental clearance from the Union Ministry of Environment, Forests and Climate Change (MoEF), New Delhi,” Koneru said. 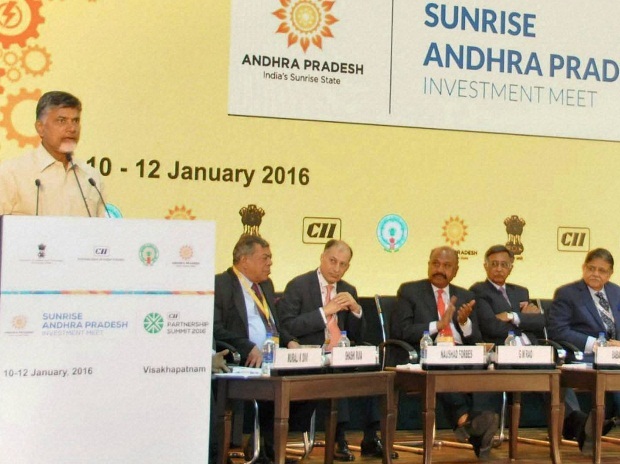 The Bhavanapadu project would entail an investment of Rs 1,500 crore and will generate 1,000 direct and 2,000 indirect employment opportunities. According to him the mining will starts within two years from the date of the execution of the lease. At Kalingapatnam, Trimex Ores proposes to develop the mining lease area for mining of 4 MTPA of heavy mineral sand along with pre-concentration plant of 600 tonnes per hour and install a mineral separation plant of 90 tonnes per hour for the production of Ilmenite, Rutile, Zircon, Garnet and Sillimanite heavy minerals.The proposed project involves an estimated investment of Rs 1,000 crore. The mining operation will start within two years from the execution of the lease agreement. Koneru said that these projects would see the use of opencast mechanised mining method involving dry mining and dredging. “No drilling and blasting or sorting of the material at mine site are necessary. The excavated minerals will be transported to the pre-concentration plant (PCP) by trucks. In the re-locatable or floating pre-concentration plant, equipment like spirals, classifier, screen, column floatation will be used to concentrate minerals in the ROM into three to four mineral rich concentrates,” he said.